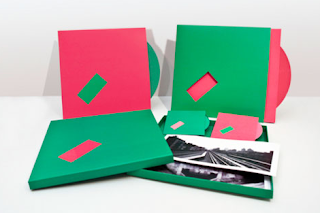 With our digipak, I want it to be completely unique and different from other albums on the shelves. I will include fun and interactive aspects that will act as a unique selling point to draw in my target audience. 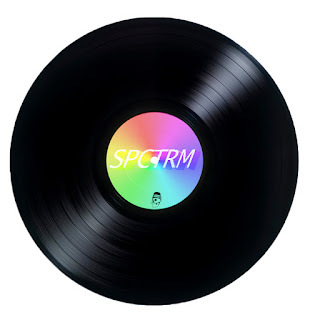 Firstly for my USP (Unique Selling Point), we're wanting to include a multi platform release for our album, so: releasing it on vinyl, CD Digipak, MP3 and even cassette tape. By releasing it on multi-platforms, it allows a wide variety of people to obtain and listen to the music, so there's no excuse for people not to buy it. Also by doing this, fans who will want to collect all of our discography, they may want to buy all of these platforms which works in our benefit. Because we want to achieve the feel from our album that it was released in the 80's, we want to throw it back and produce a limited quantity of the album on a cassette tape. 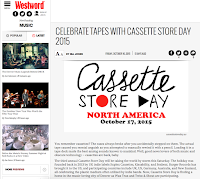 The cassette tape market is very niche now in 2015 but it will still act a USP and collector's item. From my own knowledge of things like Record Store Day or Cassette Tape Day, people go crazy for these media platforms - it's one day of the year that people appreciate these formats, as well as celebrating independent record stores. 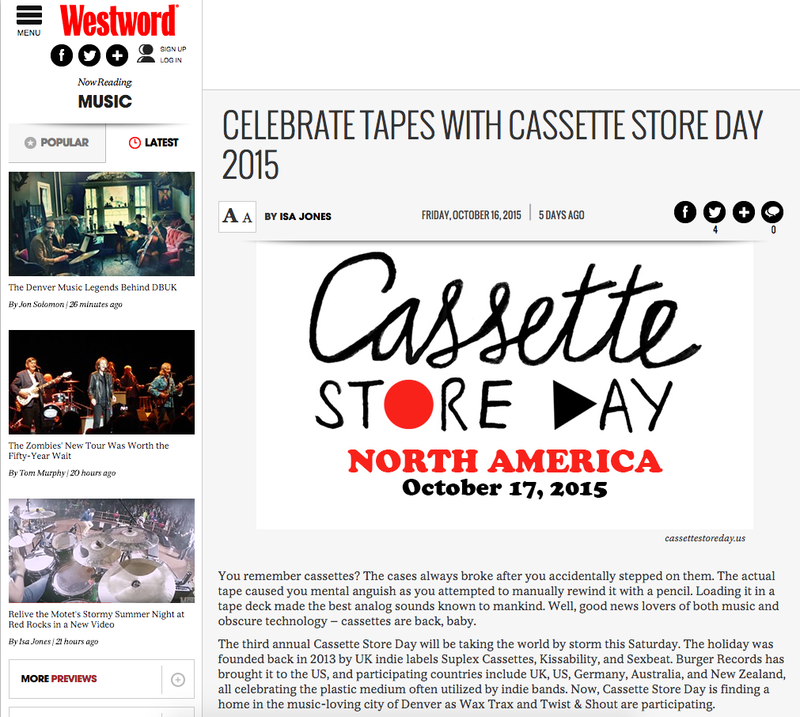 News article of Cassette Store Day. Urban Outfitters, a major company, is starting to sell Cassettes. We still want to stick to the multicoloured house style, as cassettes are just plastic it'd be quite difficult to tailor it to how we wanted to but still keep the 80's vibe to it. So by having the transparent plastic slightly translucent with a rainbow tint, it'll still be a recognisable iconography of our style. The track-listing is still apparent on this format, almost like in a handwritten font which adds an intimate and personal feel to it. 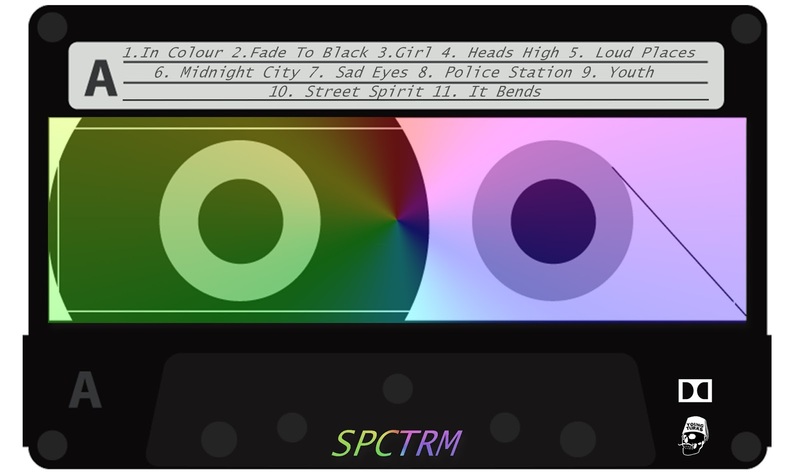 As in the 80's people used to make their girlfriends / boyfriends mixtapes, so I like this idea. Vinyl has really been brought back from the dead in 2015 as almost every artist now releases their music on this format. What I like the idea of vinyl is that it's physical in our hands, I know that CD is physical but the fact you conduct the music by placing the needle on the etched in sound waves on the slate of vinyl gives me the sense of power. 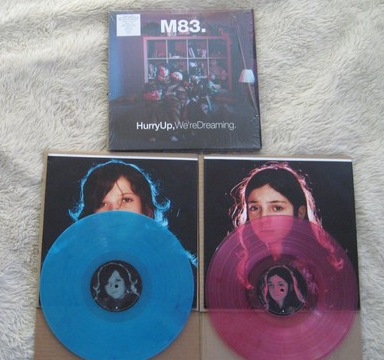 I also like it when artist's album art is beautiful and having it in 12 inches is like a piece of art. Artists like Bon Iver who i've previously analysed gave me the inspiration to producing the album on vinyl due to having beautiful artwork in a bigger form.